Everybody is smiling! 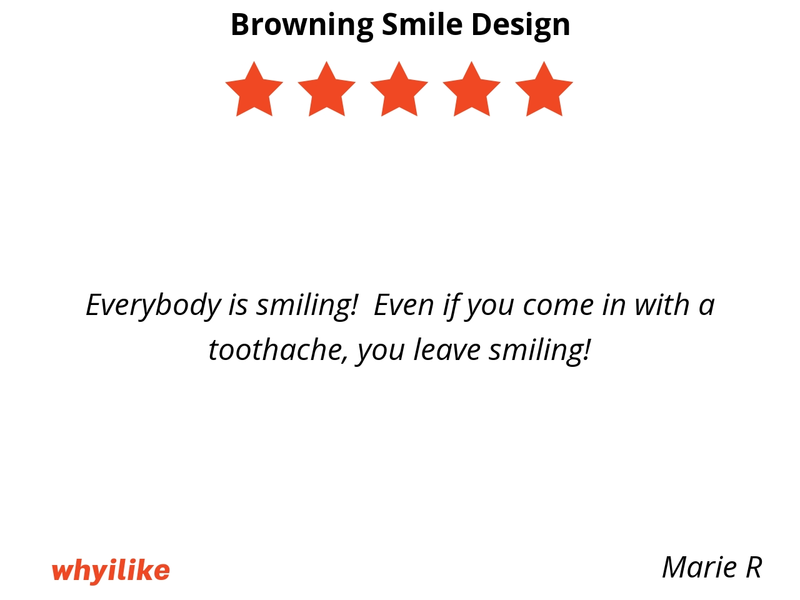 Even if you come in with a toothache, you leave smiling! 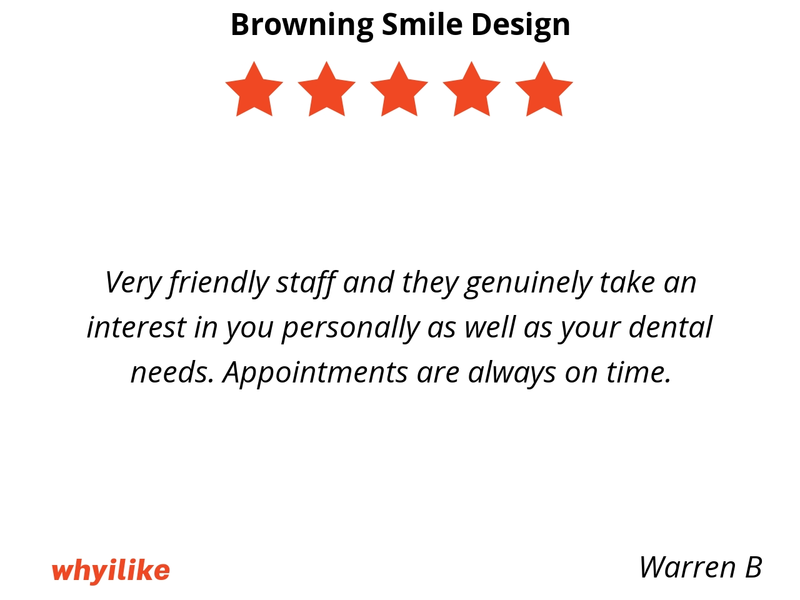 Very friendly staff and they genuinely take an interest in you personally as well as your dental needs. Appointments are always on time. Very good experience and definitely will be going backs ,thanks for answering every question and taking your time. 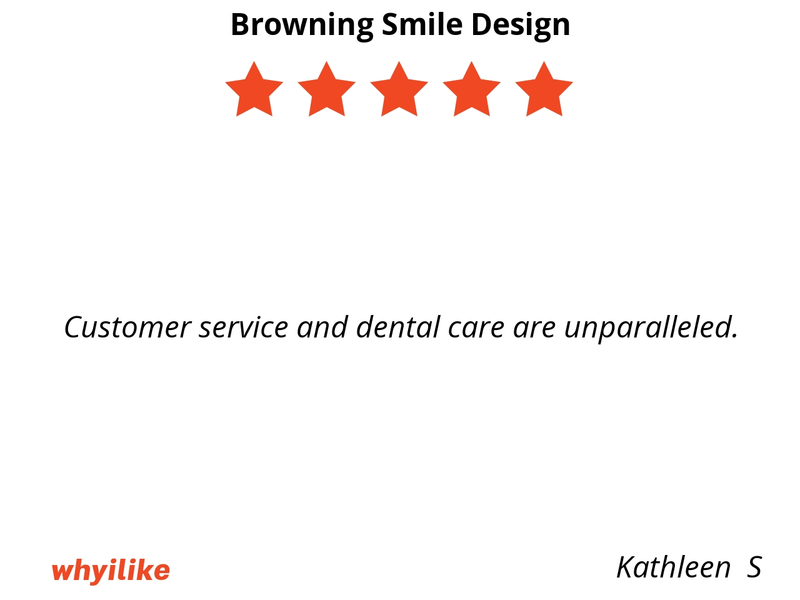 Customer service and dental care are unparalleled. 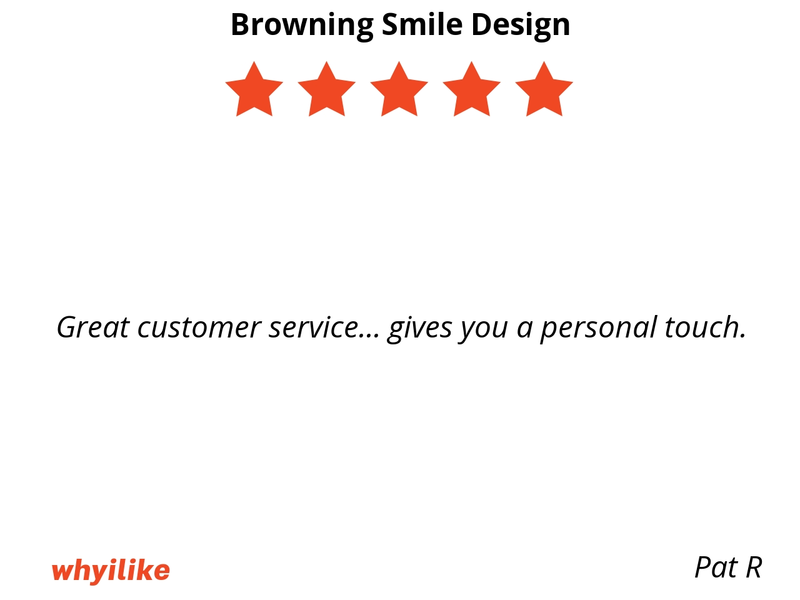 Great customer service... gives you a personal touch. 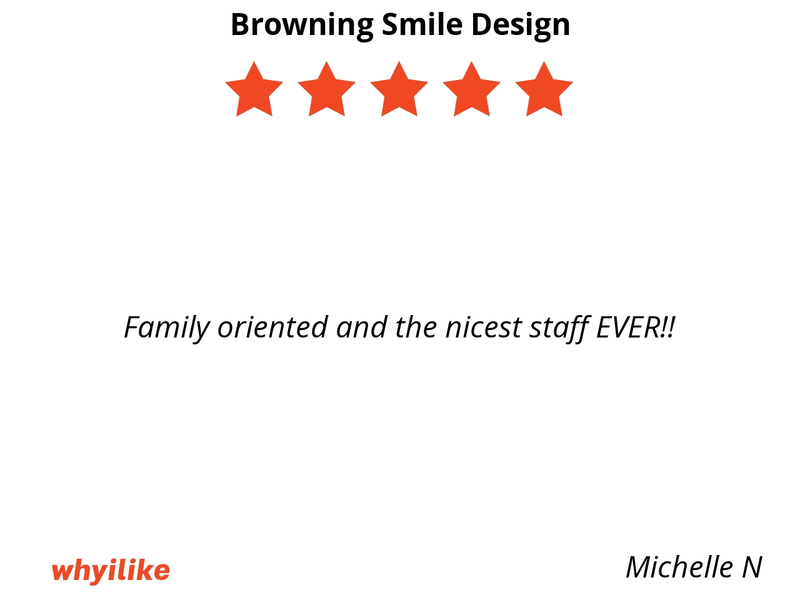 Family oriented and the nicest staff EVER!! My experience at Browning Smile Design was great! Whitney was kind and gentle. Everyone was friendly and the environment felt like family. 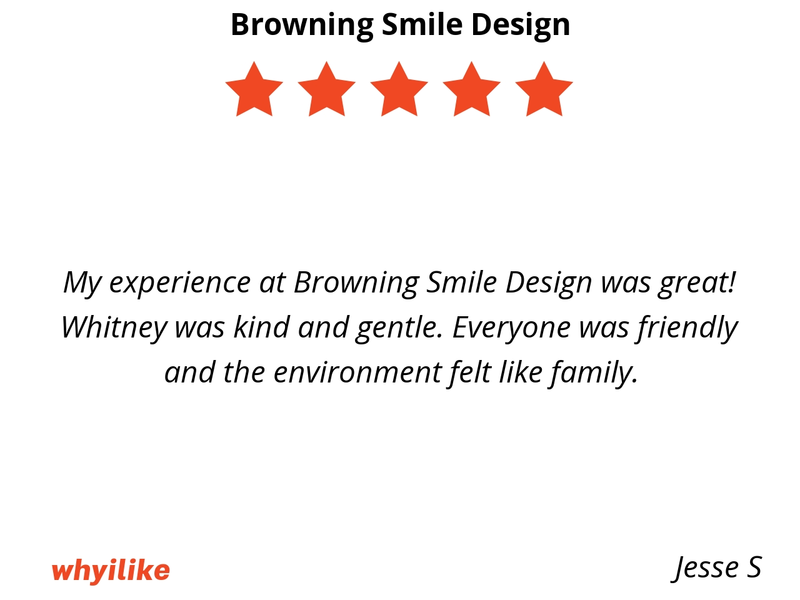 I’ve always been very afraid of dentists but Dr. Browning changed that. 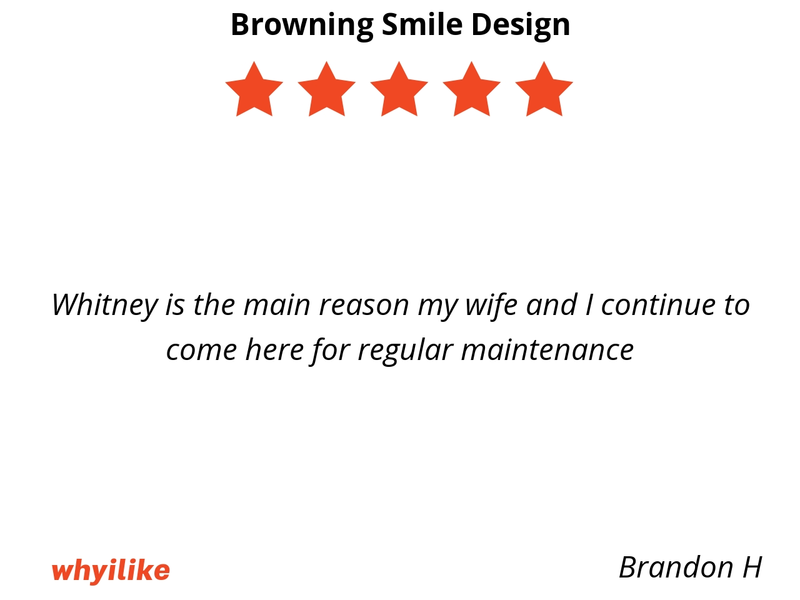 Dr. Browning cares about his patients and explains what is needed to maintain healthy teeth and gums very well. 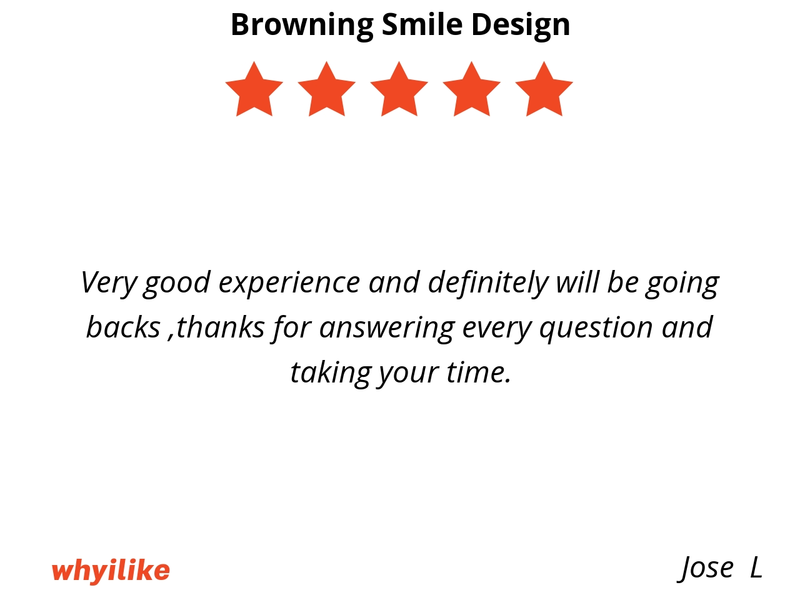 He answers all my questions and puts me at ease with whatever procedure that needs to be performed. 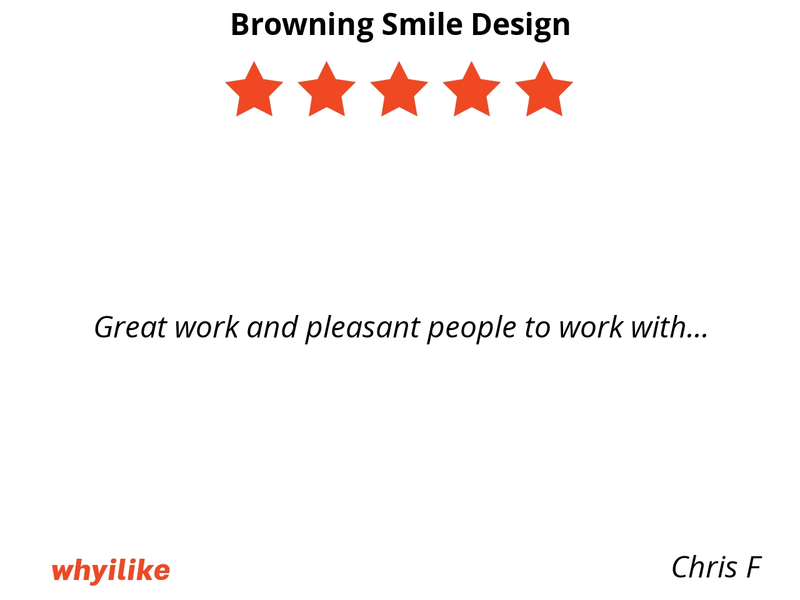 His staff is exceptional! 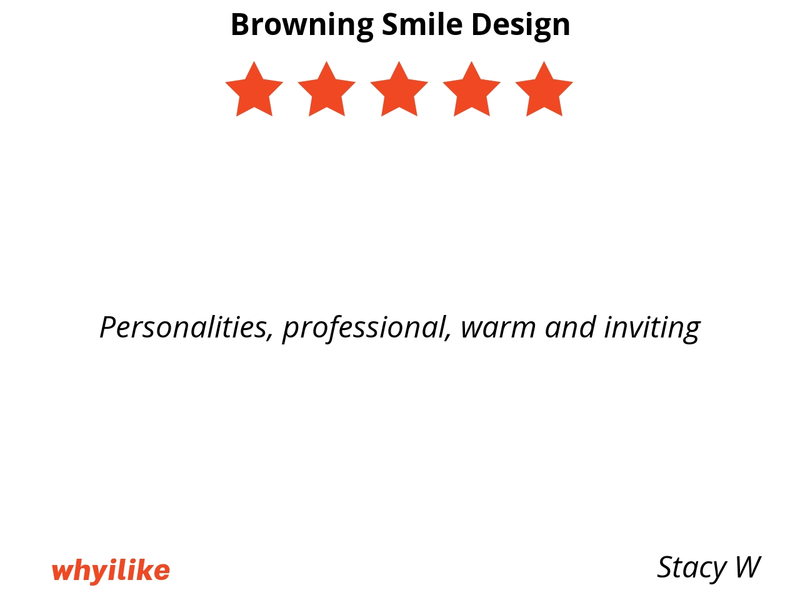 They are very friendly and courteous and make scheduling appointments very easy. 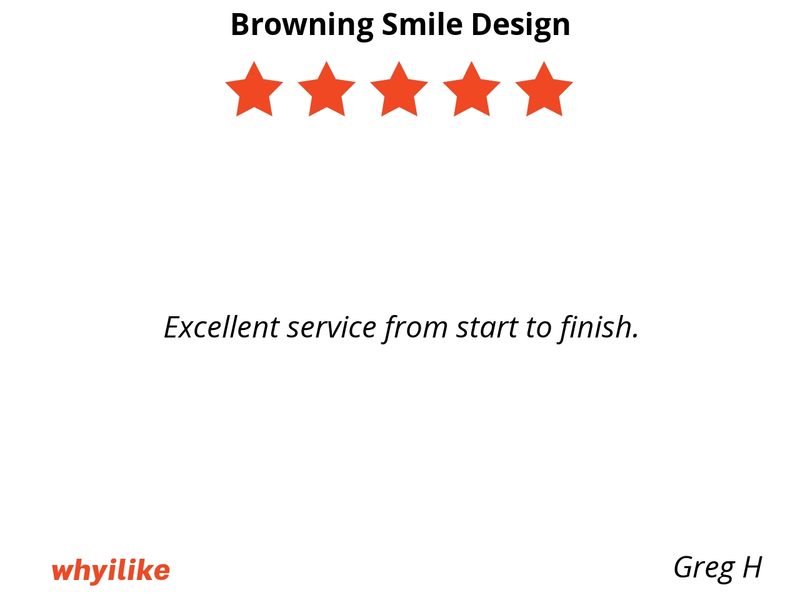 Excellent, professional and caring staff. 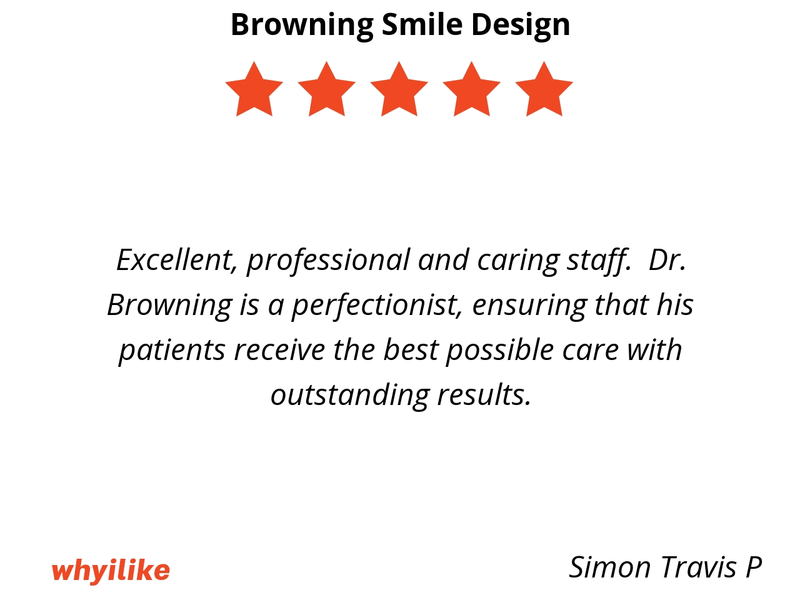 Dr. Browning is a perfectionist, ensuring that his patients receive the best possible care with outstanding results. 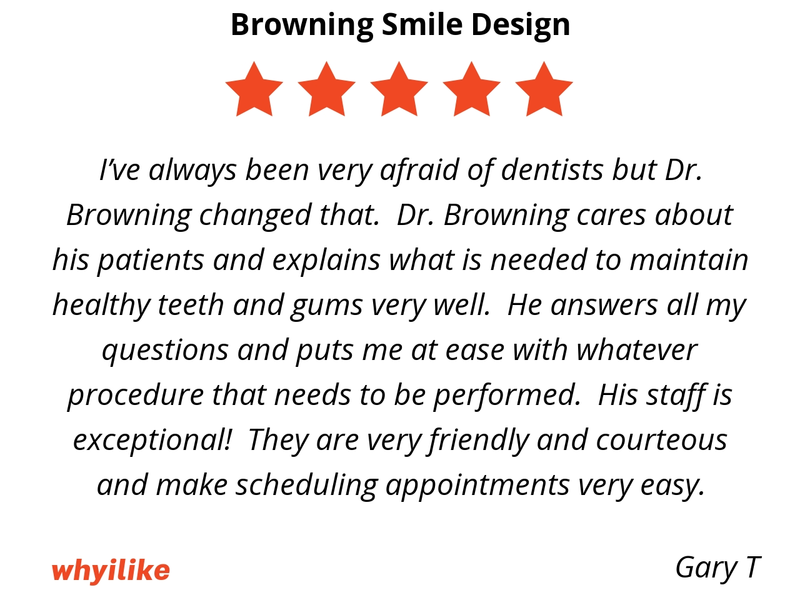 The atmosphere, the staff, and most of all Dr.Browning are wonderful.... Even driving 2 hours for every appointment, they make it easy to look forward to my appointments. 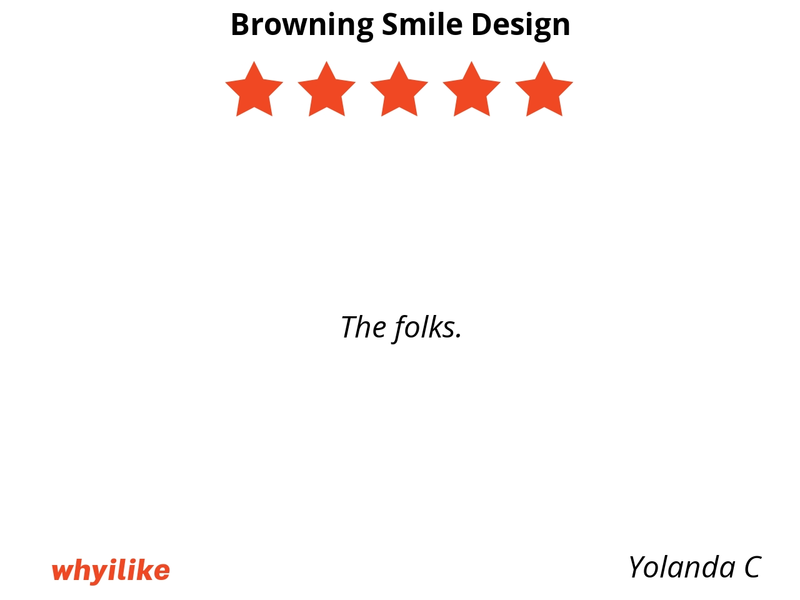 Couldn’t ask for better dental professionals to bring confidence back into your smile. Everyone is so friendly! Even after only 1 visit, they remember details even I forgot! Also gave me some very helpful advice. 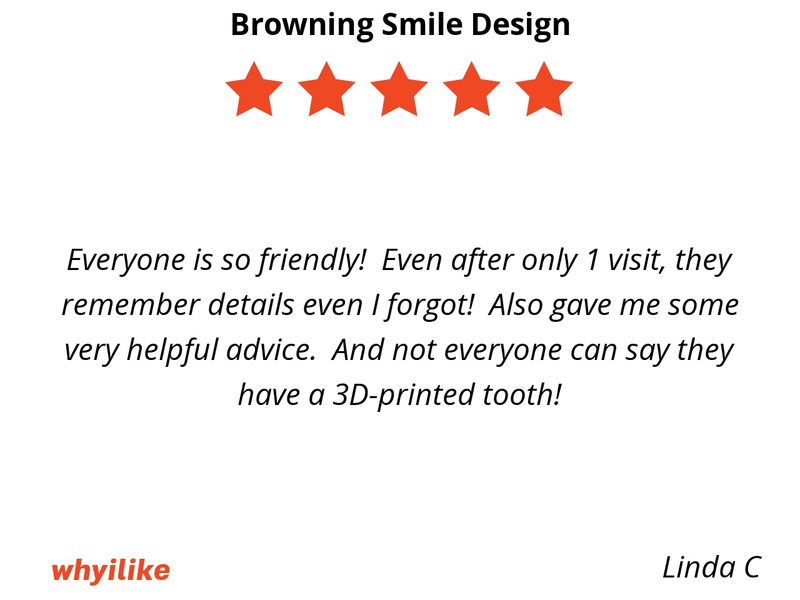 And not everyone can say they have a 3D-printed tooth! 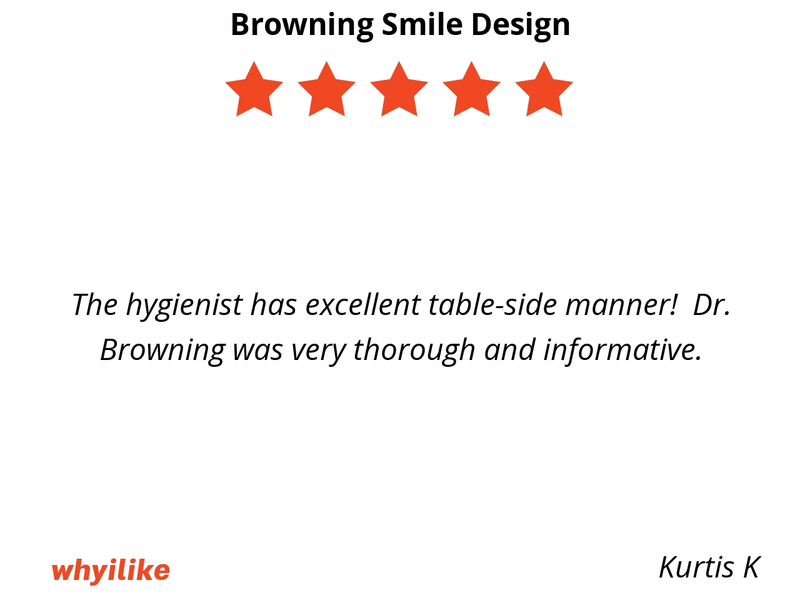 The hygienist has excellent table-side manner! 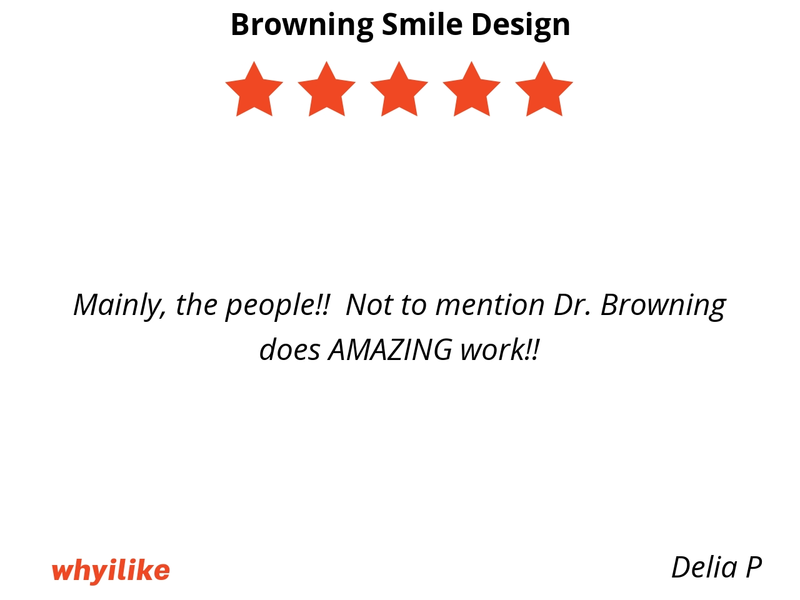 Dr. Browning was very thorough and informative. Mainly, the people!! 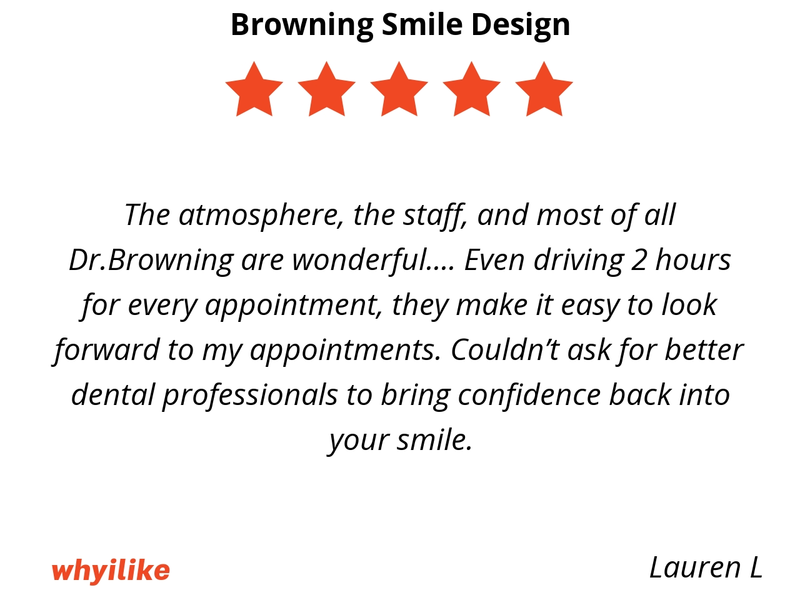 Not to mention Dr. Browning does AMAZING work! !